I know I know, It’s been a while since I’ve posted anything on here, LOL 😀 . The 21 Day Daniel Fast this year for me has been rather different from the one I had last year. I’d say that it is just as intense as last year and so many new things are happening around me that I can’t get into it just yet. All I can say is that it’s been an uphill battle in this fast to keep my wits about me without getting weary lol 😀 . 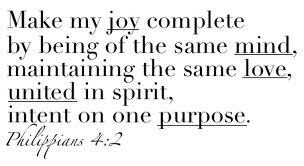 For the past few days, the Lord has been talking to me about the Spirit of Division. I thought to myself “What about it Lord?”, and that’s when He started to reveal things to me to keep note of for this year. 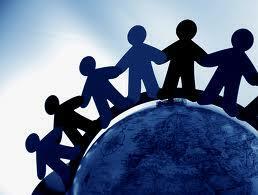 The Spirit of Division is the kind of spirit that prevents UNITY. It is the type of spirit that can come in various forms, but stems from the root demon spirit called PRIDE. It causes disunity and is known to be a Thief of time, effort, emotions and steals people’s Provision for God’s VISION for our lives (John 10:10). God wants a UNIFIED Church. If gossip mongers create strife, there will be divisions amongst the fold which means that the CHURCH will crumble if there is a lack of agreement and unity amongst its members (Amos 3:3 – Can two walk together, unless they are agreed?). If Division can be created to cause disagreements and arguments amongst the members of the Church, then how can the body of Christ walk in the same direction if the members do not agree upon any one thing? This is what will happen if DISUNITY is achieved which is exactly what the Devil wants in order to weaken the power of the UNIFIED CHURCH. I feel like the spirit of the Lord has been wanting me to say for quite sometime “Church of Jesus Christ, Guard your heart from this DIVISIVE Spirit!” We must learn to guard our hearts from adopting such a Divisive spirit that seeks to kill, steal & destroy the Unity of the Church that is Strong in the Lord and in the Power of His Might. [ Avoid Divisive Persons ] Now I urge you, brethren, note those who cause divisions and offenses, contrary to the doctrine which you learned, and avoid them. The Lord also revealed to me during my meditations that a Spirit of Division is also a characteristic of a DOUBLE-MINDED Man who is unstable in all their ways (James 1:8). The only way to keep yourself from becoming double-minded is by learning to remain humble in all that you do for God and for others by understanding the true meaning of SUBMISSION. 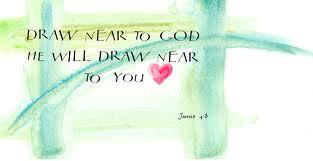 DRAW NEAR TO GOD and RESIST THE DEVIL. It is so important to not allow oneself to be embittered with envy (jealousy),or temptations that lead one to lust, or acts of depravity, anger & hatred which are all sinful behaviours that contaminate a persons soul. Such behaviours stray from the path of righteousness and cause one to act with a divisive spirit that is unable to work with others as a team. This is what happens when one yields to a Spirit of Division. Such persons, cause strife, they cause arguments, they enjoy the breaking up of peoples who once walked in agreement and they are the ones that prevent UNITY by creating DISUNITY. [ Sectarianism Is Sin ] Now I plead with you, brethren, by the name of our Lord Jesus Christ, that you all speak the same thing, and that there be no divisions among you, but that you be perfectly joined together in the same mind and in the same judgment. 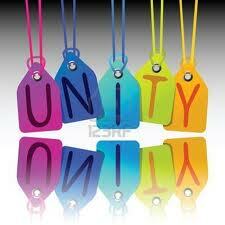 UNITY is what keeps the Church of Jesus Christ STRONG. If the devil can find a few key members in the fold to cause division, then as the American saying goes “United we Stand, Divided we FALL”. So what do you do about those members that cause DIVISIONS amongst others on purpose? [ Avoid Divisive Persons ] Now I urge you, brethren, note those who cause divisions and offenses, contrary to the doctrine which you learned, and avoid them.18 For those who are such do not serve our Lord Jesus[b] Christ, but their own belly, and by smooth words and flattering speech deceive the hearts of the simple. And by avoiding them, I mean, DO NOT partake or imitate their behaviours…DO NOT do what they do…and DO NOT allow them to contaminate others who you know can be easily led astray by such individuals. Protect yourselves and your brothers and sisters from such a foul spirit. It is so important to build discernment applied with WISDOM so that you know how to tackle such a spirit strategically using the WORD of GOD and by praying without ceasing seeking God’s direction and instruction. This Spirit is not one to toy with, neither one to disregard. Haman Spirits act alike, Saul-like spirits act in the same-like manner so be wise and guard your spirit from ENVY, Strife, Anger, Jealousy, Hatred, Lust and such behaviours that contribute to being divisive and argumentative in Character and in Spirit. We are forwarned that those who operate with a Spirit of Division are sensual persons who DO NOT have the HOLY Spirit in them (Jude 1:19). Therefore, we must do what the Bible says in (Jude 1:20-21) and keep praying in the Holy Spirit and in the LOVE of God always pursuing the mercy of God through our Lord and Savior Jesus Christ. 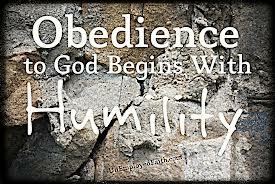 In essence, the point is to remain humble and practice humility as a way of life. Humility requires us to submit to the will of God in our lives and to heed the Godly counsel of our elders and not to be filled with self-seeking behaviours that seek to satisfy the desires of our flesh. When we yield to this wisdom, we can properly guard ourselves from becoming obstinate, callous, rude, calculative, and deceptive, not only deceiving others but ourselves from the Truth which is in GOD’s Word. The spirit of Division operates in the same way as one who practices False Humility if you reference back to the post I wrote last year regarding The Importance of Detecting False Humility. 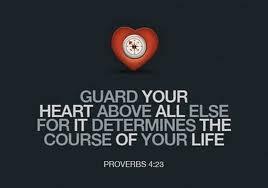 Guard your heart, your mind, your spirit and your soul from adopting this type of spirit. 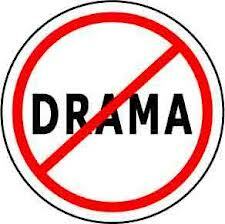 It will affect your Character and everything you do. 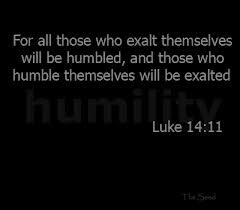 Remain Humble and always abide in the Truth. It is always better to esteem others above yourself and it is even better to give to others rather than to receive from others. Such a person operating under the spirit of Division will always seek to esteem themselves higher than others and will always prefer to receive accolades, gifts, prizes (including bribes), and high recognition from others to puff up their PRIDE (this definitely reminds me of SAUL who was jealous of David in 1 Samuel 18:6-8). My dear brothers and sisters, we must avoid becoming such a person. Remain humble and learn what it means to SUBMIT TO GOD and also to submit to Godly counselors who watch out for your soul. Refrain from becoming bitter about any issue that arises in your life, for bitterness will lead you to sin in this way if you do not learn to manage your emotions well, so check yourself before you wreck yourself, and repent to God if you have harboured such traits that are described here regarding the spirit of Division and seek to humble yourself before God to purify your heart and to make it more like Jesus Christ’s heart which is filled with Love, Peace, Righteousness and Joy. I have two songs here to minister to your spirit today both my J.Moss one called Holy is Your Word and the other called Caught up in Love. May these Songs Bless your Spirit everybody! Hello! Thank you for the nice comment. I wish you beautiful weekend! Bless you. It make a lot of sense. Thank you again for your kindness and love. Thank you. Whatever you have written is Spot On. I have encountered someone that fits all the characteristics above. It has taken me a lot of painful years of trying to reconcile and to win that person back. After several years and reading your article, I now know that this person will never reconcile with me since that will expose her true self and she knows it. I will AVOID her and keep my peace in the Lord and prevent her to cause me more harm. God bless you for sharing. Thanks for stopping by and commenting. I am glad that this post blessed you. It’s not easy to reconcile with people that don’t share the same views or don’t intend on reaching some amicable agreement with you. But know this, as long as you are filled with peace after trying your best, that is what counts. Everyone at some point must learn to move on if the relationship with such a disagreeable person is only driving a wedge between you and other people. Hello, I realize you posted this two years ago, but still, thank you! I go to a little church with loving people! Recently I’ve been doing some self discovering, I have a problem with pride. I don’t know “exactly” where is sprouted up, but I have an idea it has something to do with the way I was brought up; things I was taught and just having prideful people raising me. I sing in church and I’m an active youth leader. I thought I was a humble person, I thought I was on the right path. I don’t want pride, I even prat for unity. I want to be used of the Lord, but he cant use a vessel that’s not humble. I googled spirits in the church and this came up! I just want to thank you for obeying the Lord when he impressed this on your heart and for sharing it! Humility is a constant work in work in progress for all people. We don’t always get it right but the important thing is to recognize areas in which you are weak to pride and learning to repent before God about it. The worst thing about Pride is denying you have it in the first place, however, from what I can see, you acknowledge that you have areas in which you have to work with so don’t beat yourself up about it. Rather, praise God and rejoice that you now have an idea of what you need to improve. I’m glad this post blessed your spirit today. God bless you hun. Hi, thank you for posting this. It really helps me in my situation right now. wow, we have had the spirit of division in our church for over 40 years. It has disguised itself in so many ways. we were attacking the people who we saw as hindering the work and persons have come and gone over the years and still today the same thing is going on. I know it is time to put an end to this because it is a spirit that was sent to the church to divide it. the person who sent it may be dead by now so in addition to the points you gave above is there anyway we can break this curse as we begin our 50th celebrations? Thanks for stopping by my blog and commenting. I really appreciate all my bloggers that visit me. I’ll try to answer your question to the best of my ability. 1. Repentance of any actions that sowed discord/division in the church to seek God’s forgiveness over what happened so that the Lord can restore all of the people to be in right-standing before Him again. 2. Seek God to bind the strongman spirit of Division operating in the church to the foothold spirits attached to the strongman and seek God to cast these spirits out of the church. The spirit of Division doesn’t operate by itself, it has lesser spirits that accompany it but the most important thing is to bind the strongman and the footholds that have been operating in the church. 3. Ask the Lord to purify the hearts of the people in your church (including yourself) and to ask the Holy Spirit to flood the atmosphere and clean the minds and hearts of the people to have a renewed spirit that believes in the power of the unity of the Holy Spirit, to come as one church body with one mind believing and trusting God together and praising and worshiping God together in one accord. 4. Give God praise for the deliverance He provides from that spirit. 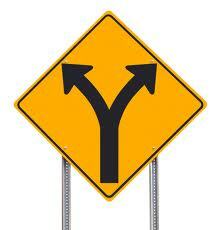 This is what you can do to shift your church into a new direction. It’s all about humbling yourselves as a church body, acknowledging that you’ve all made mistakes individually and collectively whether anybody knows it or not and saying “God, we invite you to be enthroned in our hearts. 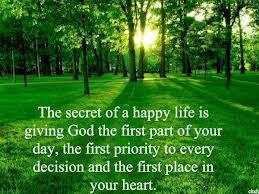 Renew a right spirit in us again”. Humble yourselves before God and He will hear the prayers that are laid up in your church today. 14 if My people who are called by My name will humble themselves, and pray and seek My face, and turn from their wicked ways, then I will hear from heaven, and will forgive their sin and heal their land. 15 Now My eyes will be open and My ears attentive to prayer made in this place. I hope everything I’ve written is clear for you. Many people forget that repentance is vital to receiving healing and deliverance in many situations. It is so important to note that leaders encourage people who have wronged others to make things right with their brother or sister first before producing an offering in the church otherwise, any offering they give to the alter will not be acknowledged until this is done. 22 But I say to you that whoever is angry with his brother without a cause[a] shall be in danger of the judgment. And whoever says to his brother, ‘Raca!’ shall be in danger of the council. But whoever says, ‘You fool!’ shall be in danger of hell fire. 23 Therefore if you bring your gift to the altar, and there remember that your brother has something against you, 24 leave your gift there before the altar, and go your way. First be reconciled to your brother, and then come and offer your gift. Again, repentance is the key to bringing household salvation in your church. I hope what I’ve said helps you in some way. If something isn’t clear, just message me again and I’ll try to be more clearer. I pray that you have an amazing 50th celebrations. May God bless you and your church in Jesus Name. Pray this prayer and personalize it. Fast and pray over your children’s marriage because it seems to me that there is something going on that you are not seeing becuase it is a spiritual attack on you and your family. Ask the Lord to dismantle the works of your enemies that are trying to come against your child’s marriage and to expose the truth. Also ask the Lord to rebuke every negative word and/or confession spoken against your son’s marriage and ask the Lord to cause every ill-spoken word spoken over your children to fall down to the ground and die and let not those words ever reap a harvest. Sometimes, people speak curses over people not realizing that such words spoken will not dissappear until they have accomplished what they were sent out to do. So that is why you have to rebuke any ill-spoken words spoken over you and your family because such things could still be in operation in your life without you knowing. Seek God to rebuke and bind any ill-spoken curses over your life and the life of your family and command blessings to take place over the curses. Command blessings over your family and you will see amazing things start to happen, Amen! I recommend this book by John Eckhardt called “Prayers that rout Demons and break curses”. That book will be very beneficial for you in your prayer life and will help you to break any curses that are operating in your life whether they are generational or spoken curses. I hope what I have written here helps you in Jesus’ Name. God bless you sis. Dear sister, I have been seeking the Lord and praying for him to change me and show me my deceptive heart for sometime now. I get blessed constantly by your blogs and a brothers blogs. Thank you so much for your faithfulness to the Lord. The thing about bringing your offering to the alter and you remember your brother has something against you… God shows me what I held againts others which I have repented for but how do I know if my brother has something against me? If a person has a legitimate complaint or issue against you, you will know by their behaviour or they will most likely tell you how you hurt them. This is where you learn to try an reconcile your differences and seek forgiveness from the offended party. However, even if you seek forgiveness from the other and the offended party refuses to forgive, you have done your part in trying to right the wrong and therefore, your offering can still be accepted. The whole point of that piece of scripture is to get people to work on reconciling their differences between offended parties so that when they put their offering down, they can do so cheerfully without guilt of harboring resentment in doing so. God loves cheerful givers and not people who do so out of mere obligation. 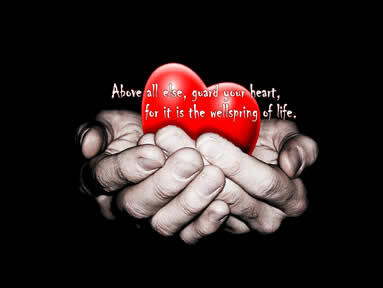 Giving is a heart condition and if a person is harboring resentment towards someone who has offended them, I highly doubt that they’d be able to give their offering cheerfully so that is why there is emphasis on trying to make right with your brother/sister in the Lord. I hope my explanation makes sense to you. Thanks Brenda. God bless you and thanks for visiting my blog.